The Silicon Power Armor A80 Disk finds itself in the viewfinder of anyone looking for a highly durable external drive. Its design will withstand rough handling including vibration, vibration, pressure and is also secured against dust and liquids. The disc has undergone a number of challenging tests, spent 30 minutes underwater, and has been subjected to a series of falls on a hard surface, yet it has remained fully functional. 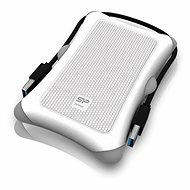 The Silicon Power Armor A80 Disk is sure to appeal to anyone who is looking for a highly durable external drive. Its durable design will even withstand rough handling including shocks, vibrations, pressure and it is also protected against dust and liquids. This disk has undergone a number of challenging tests, spent 30 minutes underwater, and has been subjected to a series of falls on hard surfaces, and regardless of this tough wear it has remained fully functional. 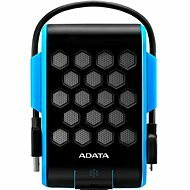 The durable exterior conceals a 2.5" disk which communicates with a computer through a USB 3.0 interface, providing a very fast data transfer rate of up to 5Gbit/s . The hard drive is also compatible with USB 2.0, but in that case you have to settle for approximately 10x lower transfer speeds. This disk will save you valuable time when backing up data from a hard drive or transferring large files. The appearance of the disk does not make it obvious that you are dealing with an extremely durable device. On the contrary, it is presented in an elegant blue design. When transporting the disk, you'll definitely appreciate the practical slot for storing the USB cable. 1,000 GB (1 TB) Done! 139 mm (13.9 cm) Done! 18.1 mm (1.81 cm) Done! USB 2.0, USB 3.2 Gen 1 (USB 3.0) Done! 270 g (0.27 kg) Done! For shipping to other EU countries visit this page Silicon Power Armor A80 1TB Blue. 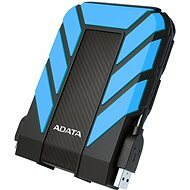 Für Versand nach Deutschland, besuchen Sie bitte Silicon Power Armor A80 1TB blau. Chcete doručit zboží do Česka? Prohlédněte si Silicon Power Armor A80 1TB modrý. Chcete doručiť tovar na Slovensko? Prezrite si Silicon Power Armor A80 1 TB modrý. Für Versand nach Österreich, besuchen Sie bitte Silicon Power Armor A80 1TB blau. Magyarországra történő kiszállításért tekintse meg ezt a termékoldalt: Silicon Power Armor A80 1TB kék.